1. All adults must be ready to provide PHOTO IDENTIFICATION and be listed on the approved pickup list before the school can release any student from the school. i. PROVIDE A NOTE to the school office stating that you will be picking your child up and the approximate time of the pickup. result in your request not being able to be fulfilled. 3. If you do not provide advance pickup information, you must pick up your child prior to 4:15 PM or they will be placed on the school bus for transport home. Any questions please call the school office directly at 716-248-1485. Thank you. 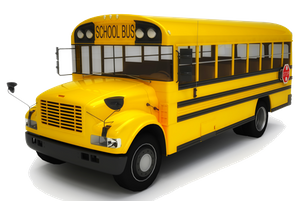 Student bus transportation is provided by First Student Transportation and routed through Buffalo Public Schools Transportation Department. All student transportation changes may take up to 2 weeks to become effective. Confirmation of any transportation change(s) will be made via USPS mail directly from First Student to the home address on file. Transportation changes almost always become effective on Wednesdays. Any questions regarding missed bus stops, student belongings left on the school bus, late bus arrivals, etc. should be directed to the terminal that your child's bus is dispatched from, please reference the terminal list below. Live Tracking and Predictive Stop Arrival Times: Shows location and direction of your student’s bus, stop times for the day and times for school arrivals and departures. Custom Alerts and Messages: Set up push or email alerts for when your student's bus is a chosen distance or number of minutes away from the stop. Alerts provide messages about delays; the reasons for and an estimated length. Additional User Notifications: Main users of the FirstView™ Parent App can connect three additional email accounts to receive email alerts. Dedicated Customer Support: Contact customer support team Monday through Friday.